Need a card for a special teacher? This adorable card by Naki would be perfect for giving a special teacher or student who's just headed back to school! 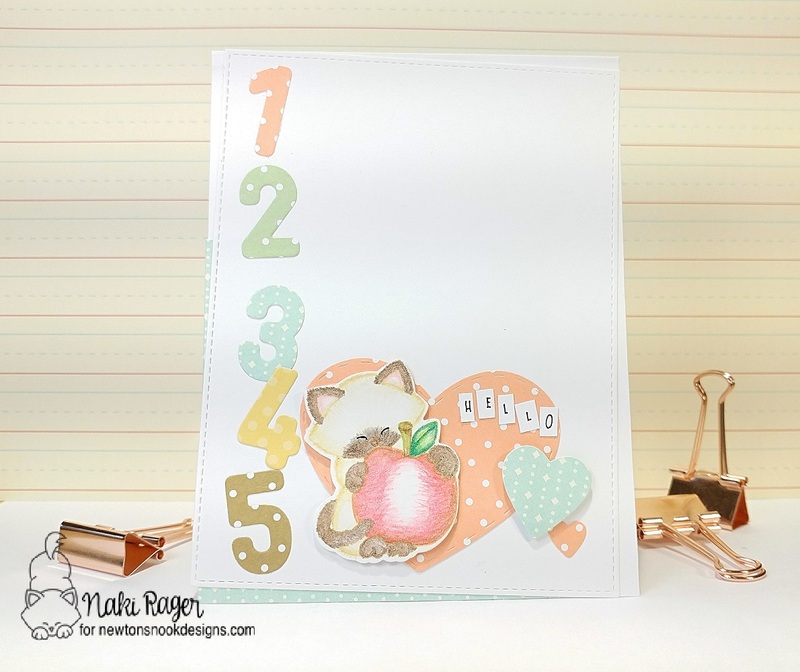 She created this adorable card using the image of the Newton hugging an apple from our Newton Dreams of New York Stamp Set. She did some amazing no-line coloring on this image with pencils! Isn't that highlight on the apple awesome?! She trimmed out the image using the coordinating Newton Dreams of New York Die Set and added it to her card with some adorable die cut numbers and a cute hearts using the Darling Hearts Die Set. How adorable! Make sure you head over to say hello to Naki and see more of her beautiful creations at her blog, Notes from Naki!